"IN COPENHAGEN, WE ALL RIDE BICYCLES EVERYWHERE, PARTLY BECAUSE IT IS IMPOSSIBLE TO PARK A CAR, BUT ALSO BECAUSE YOU CAN CROSS THE CITY IN 20 MINUTES ON A BIKE." Wildersgade - for colourful old townhouses from 18/19th century. Check Sankt Annæ 8. Overgaden neden Vandet - a beautiful canal with characteristic colourful houses and boats. 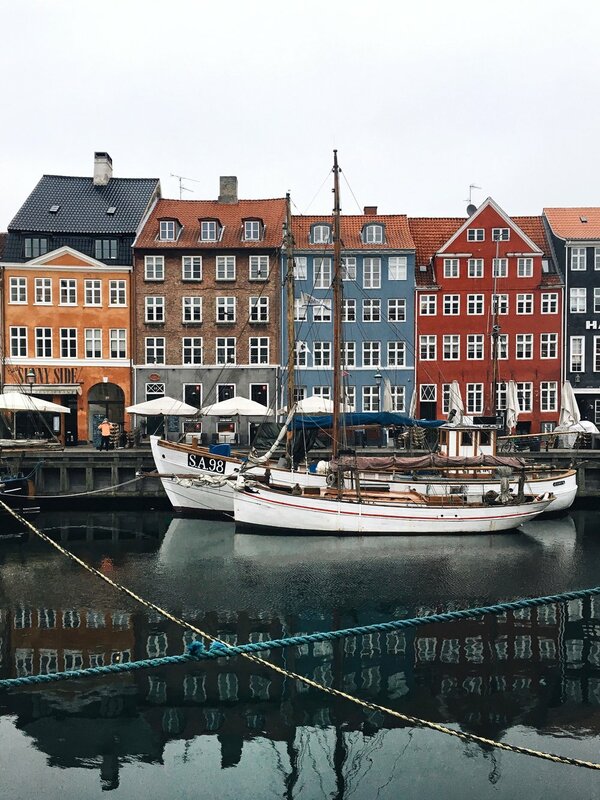 Nyhavn - the iconic sight of the capital. All about colours, architecture and relax. Hay House - climb up and check the views of Amagertorv. Rundetårn - Round Tower - one of the best views of the city. Botanisk Have - a museum of living plants. The staircases and the views from the balconies are a must-see! Jægersborggade - street for the creative-minded, full of independent shops, cafes and makers. Olufsvej - an alley with pretty colourful houses and bikes. Gråbrødretorv - one of the most charming squares. 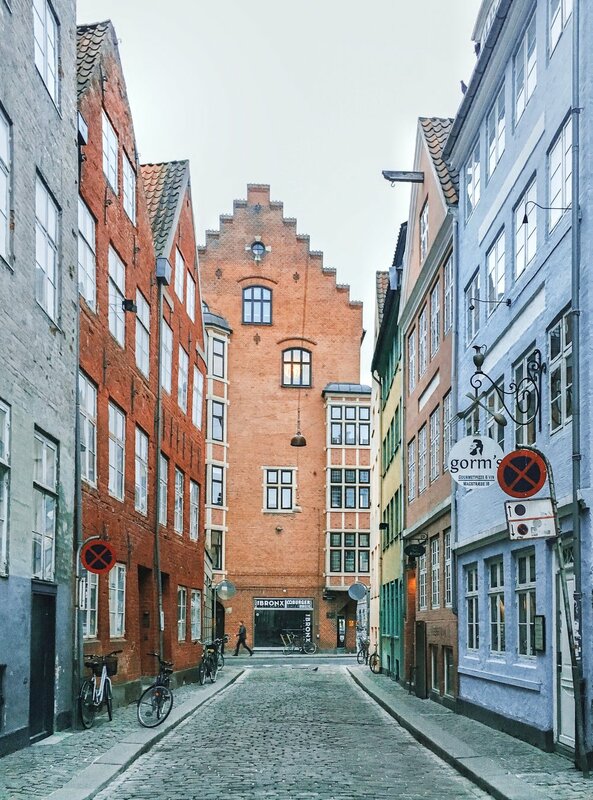 Magstræde - the oldest street in Copenhagen, not to be missed. Atelier September - ahh, love this one! High ceilings, large windows, beautiful interior and seriously good food and coffee. Café Paludan - café in a bookshop right next to the Round Tower. Lovely interior details, great brunch options. Copenhagen Coffee Lab - specialty coffee, a micro roastery. Café Det Vide Hus - cute cosy breakfast place.